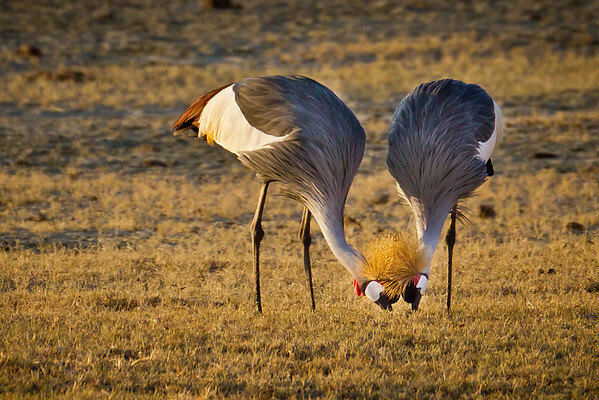 A pair of grey crowned cranes nibble for breakfast together in Ngorogoro. These cranes are known for the golden plummage atop their heads, and are the national birds of Uganda. Unfortunately, they are also a threatened species here in East Africa by illegal trade.